In the final round of blog posts from our China 'Living Research' project, our UK makers and academics the team share their reflections on Chinese maker culture. "The aesthetic of a city is often hugely symbolic of it’s nature; in this case the cultural diversity, international reach, and embracing of both past and future that I’d come to see in Shanghai." Fiona Dowling, Laser House CEO, shares her thoughts on Shanghai from the city's Maker Carnival. "We’re very excited to see how the Chinese maker-manufacturing landscape changes in the coming months and years, as more people tap into the Shanzhai hivemind. Most of all though, we can’t wait to go back and get more things made." "These 8-14 year old kids were learning skills which I wasn’t taught until university; design process, brainstorming ideas, prototyping, concept presenting, critical feedback, iteration and documentation..."
Makerspaces - China's next big boom? Our report into making in China highlights key differences between 'making' in China and the UK. Creative Economy's Rebecca Shoesmith shares a few things she's learned. 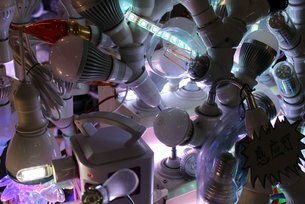 Free Event: Makerspaces Will Save Us? Join us for an evening of lively discussion and debate with Daniel Charny and David Li - two thought-leaders at the forefront of UK and Chinese maker cultures.